It takes a community of parents, teachers, children and others working together to create the optimal program of child care and early childhood education. Everyone involved with the CEC community is important and needed for the CEC to function and thrive. Our primary mission is that of caring for children and that same commitment to caring extends to all those involved with the CEC. The fundamentals of caring include physical well being, but our philosophy and practice of caring is deeply rooted in our understanding of the psychology of human growth, development and behavior. At its foundation, we view caring as the unqualified respect for the uniqueness of each person’s spirit. 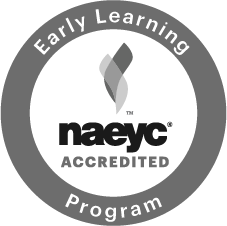 While children’s development and learning is our central focus, we see everyone involved with the CEC as learning through their involvement. The CEC is responsible for facilitating and supporting everyone’s learning. We view the organization as a learning community which is continuously evolving. Utilizing the outdoors as an equal partner in learning to indoor spaces, children and adults experience a connection to the natural world that supports exploration and learning, as well as a reverence for all living things. Loving underlies everything that we do and is fundamental to the success of all of our efforts. The CEC is also about creating – creating a better world for children as well as assisting the adults in its community to create better lives for themselves. It is a dynamic enterprise, always looking for ways to do more and to do it better. Children are nurtured and encourage to gradually assume personal responsibility for their actions and to become eager learners and creators.